Here it is, the penultimate review of the Epic Disney Watchfest. I’m fired up – time to finish this out like a champ. On to the reviews! The most common question I’ve gotten during the Watchfest is “What’s your favorite movie?” I love the question, but I have to admit, it’s tough to answer. After watching thirty-four movies, here’s what I know: The Emperor’s New Groove and Aladdin are my top two, Cinderella and Dumbo have to be somewhere near the top, The Lion King has to be in the running if only because it’s the highest-grossing traditionally animated feature EVER, and Beauty and the Beast has to be included since it’s the only animated feature to be nominated for Best Picture before the Academy switched from 5 nominees to 9. Obviously, I have a newest-is-best bias: four of the six movies I mentioned were released after 1991 while only two were before. That might be unfair, but I feel like those are the six movies that hold up best today. But let’s say one was to ask, hands down, what is the best Disney traditionally animated movie of all time? Like, take my opinion out and look at it objectively. Which is the best? I would probably say that, objectively, the movie that would appeal to the largest number of people today would have to be The Lion King. But I’m no expert – I’m just a schmuck who likes watching movies. So let’s see – who could we turn to for an expert opinion? It would have to be some person or people who review(s) movies for a living, right? Like, maybe, the Rotten Tomatoes folks? They’d offer a good, objective sense of what’s best, right? 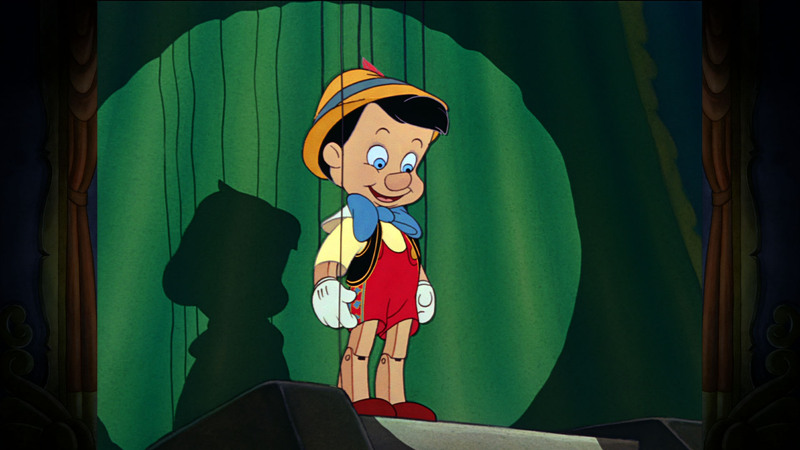 Those strings aren’t actually on Pinocchio. Okay, so let’s dial up the Google device and ask it to find “rotten tomatoes best disney movies”. Ah! The first result is a link to the Disney Animation Celebration, Rotten Tomatoes’ version of the Epic Disney Watchfest. Here, they’ve listed every Disney animation in order from worst to best. What better resource can there be to discover which Disney movie is the absolute best? Ugh, there’s seven pages to get through!! Nobody got time for seven pages!!! I mean, except for me and lots of other enthusiasts. But other than us, everyone else just cares about #1. So click over to page seven, and what do they name as the #1 Disney movie of all time?? What’s this? Pinocchio???? Wow, that works out so well – Rotten Tomatoes selected Pinocchio #1, and I just happen to be reviewing Pinocchio. Amazing. But seriously, when I saw that Rotten Tomatoes named Pinocchio #1, I was surprised. I mean, Pinocchio is really good, but it doesn’t strike me as the best by any means. I would listen to an argument that it’s the most culturally significant movie on the list, but saying it’s the best? Seems like a stretch. Still, if that’s what the experts say, it must mean something, right? Right????? Anyway, while I question it being the best movie of the bunch, I do think Pinocchio is at least in the top fifteen and probably in the top ten. It has a good message, the music is great, and the cast of characters it amazing. As such, it’s easily a 8/10. Now let’s go deeper. inherent dangers surrounding the trafficking of Equuses Asinuses Africanuses nee humans. whales can and will swallow entire boats, but good news, you can stay alive if you brought your fishing pole!! So you can see, the film has many fabulous lessons we can all take to heart. If you’re into watching movies with good morals, then watch Pinocchio – it’s arguably the most moral Disney production ever. Jiminy Cricket these songs are good. Music: My favourite songs from Pinocchio include all of them. But seriously – when Disney chooses your trademark song as their trademark song, you’re doing pretty good. 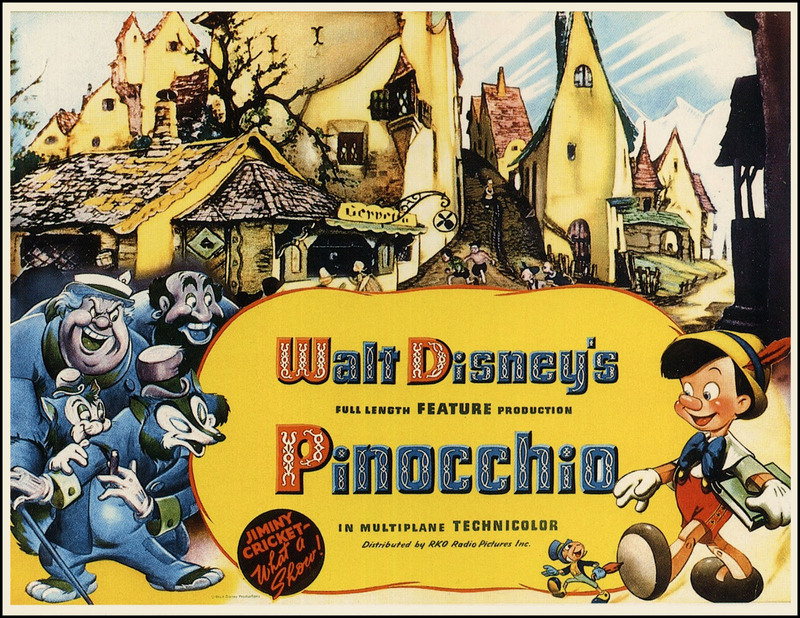 Composed by Leigh Harline, Pinocchio‘s soundtrack is one of the best in cinematic history. Normally that would be unabashed hyperbole, but in this case it’s the case. What sets this soundtrack apart from most others is the heavy use of melody. Each song has a distinctive tune, and each tune has a rich sequence of notes that pulls listeners through to completion, demanding resolution. The best example of this is “When You Wish Upon A Star” – the soaring tonal line cannot be terminated halfway through; it must be played out completely. Another thing I noticed about the soundtrack is that each song has a wonderful melodic balance. “I’ve Got No Strings” is this way – the melody bounces around the tonic, half the time above, half the time below, and finally resolving back at the root. In that case, the balance is between high and low notes. For something like “Give A Little Whistle”, the balance revolves around the whistle hook. Balance gives the songs a strong European folk flair, like something one might’ve heard in historic Poland, Russia, or Italy. Makes sense, for Harline was born to first-generation Swedish immigrants. No doubt he heard traditional Swedish songs at home, and this shaped his compositional style. In summation, the word which I think best describes the Pinocchio soundtrack is “sophisticated”. It is playful, beautiful, touching and intelligent all at the same time, and that’s all indicative of a musical sophistication uncommon today. If you like movies with good music, check out Pinocchio. Characters: The last thing I want to address about Pinocchio is the wonderful cast of characters. Each one is well-written and animated, giving even more life to the already-great morals, music and story. For example, Geppetto has a thick Italian accent, and he’s perfect as the loving-though-slightly-eccentric woodcarver. Stromboli is bombastic and selfish, seeing Pinocchio as nothing more than a goose from which to glean golden eggs. Lampwick (the naughty kid with whom Pinocchio plays pool) is the perfect encapsulation of the older kid in life, the one who thinks he has it all figured out though he’s really just a complete jackanape. Beyond those three, there’s also Pinocchio (obviously), Figaro, Cleo, the Blue Fairy, Honest John, the Coachman, and Monstro; that’s a heck of a lineup. Jiminy Cricket is the man. 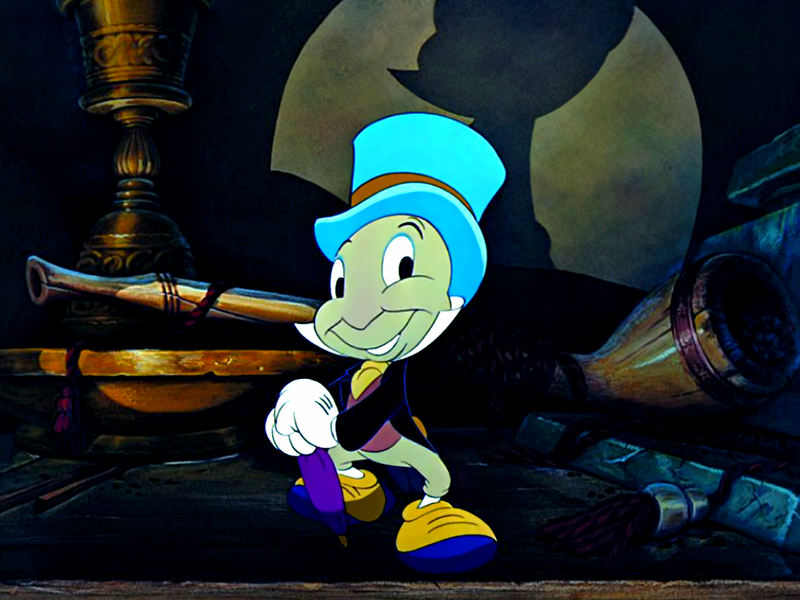 Then there’s Jiminy Cricket. Named for a minced oath, this guy might be one of my favorite Disney characters ever. 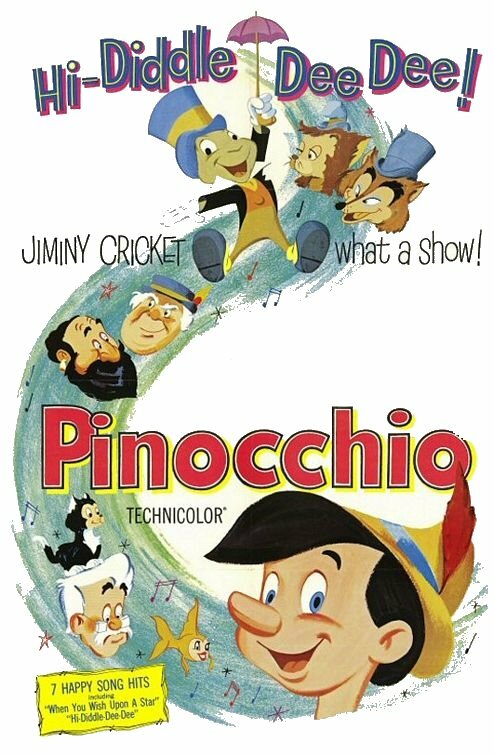 Pinocchio’s conscience, Jiminy has a wonderful heart though he doesn’t know exactly how to effect change in the wooden boy. It is poignant to watch him struggling to do the right thing, for haven’t we all bungled our best intentions with hopeless incompetence at least once? The character is even more endearing due to his extremely small stature; there is something poetic about someone struggling for righteousness no matter their limitations. Cricket paved the way for the other small giants of Disney’s animated movies, characters who didn’t know their own size and fought the good fight with the energy of an actual giant. Through Jiminy Cricket do the best layers of Pinocchio come to light. His presence greatly expands the moral palette (perseverance, be a mentor), and from his character comes the aforementioned “Give A Little Whistle”. The greatness of Pinocchio‘s characters is that most of them cut a similar swath. Great writing, great animation, great characters. After writing all that, I can see how Rotten Tomatoes could arrive at Pinocchio being the best animated Disney movie. With great morals, music, and character it is a wonderful cinematic achievement. Though it’s not in my top five or six, it’s definitely in my top fifteen, and it might be in the top ten. It’s a great movie. 8/10. Brother Bear – oh brother. Remember how Rotten Tomatoes named Pinocchio Disney’s #1 traditionally-animated movie? Well, in the same article, they named Brother Bear the second-worst animated Disney movie ever. I wouldn’t go that far, as I actually found it to be enjoyable enough. 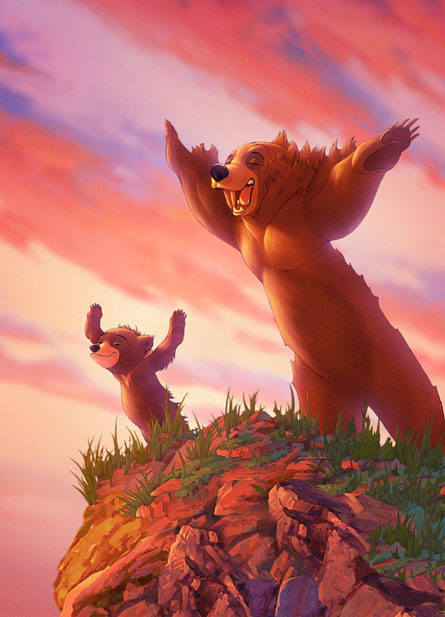 But, compared to the grandiose successes of the 90’s, Brother Bear seems more like a high-value direct-to-video flick than an honest-to-goodness Disney feature film. Whatever. At the end of the day, here’s the question: should you watch this movie or not? My answer is always “sure” because I think people should think for themselves. But if you don’t want to spend all your money trying every movie under the sun, here’s my answer: no. You don’t need to watch Brother Bear. You can watch The Lion King, Tarzan, or The Emperor’s New Groove and get pretty much everything you would from BB except better. Overall, I give Brother Bear a 6.1/10. It’s decent, but far from essential. Kenai and Coda channel their inner Titanic. The Lion King: You remember how, in The Lion King, Simba thinks he’s the one responsible for Mufasa’s death so he goes off and meets Timon and Pumbaa and learns all the words to “Hakuna Matata” and the dance too? Well, Brother Bear has something similar. Kenai, a tribesman in early North America, throws a hissy fit and ends up getting his brother Sitka killed during a bear encounter. Was it entirely his fault? Not really, but it’s probably more his fault than it was Simba’s. Anyway, Kenai gets all angry over Sitka’s death and vows to kill the bear. He does kill it, but then he gets turned into a bear by the Aurora Borealis, leading me to believe the writers weren’t going for total scientific accuracy. He goes on a soul-searching journey, meets Rutt and Tuke (Timon and Pumbaa), meets Coda, learns the importance of family, faces the true nature of his deeds with the bear, and then the story ends with him realizing something big and grand. Basically, the story arc is verrrrrry similar to The Lion King. Tarzan: Phil Collins did all that music in Tarzan including that one song and it was a big hit and whatnot. 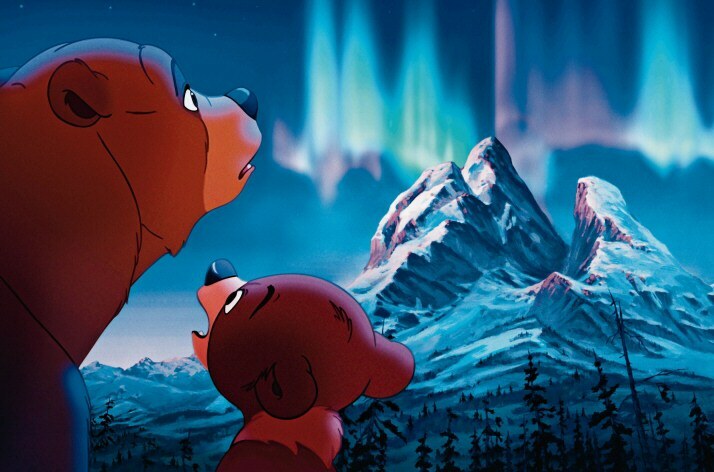 I guess Disney thought they’d see if lightning would strike twice, so they hired Phil Collins for Brother Bear. He does a good job, and though it’s nowhere nearly as effective as Tarzan, it’s still Phil Collins and Disney, so there’s that. By the way, my favorite song is “On My Way“. Other people have told me they also enjoy “Look Through My Eyes” and “No Way Out“. Just kidding – no one’s told me that, but they’re pretty good power ballads nonetheless. The Emperor’s New Groove: Kuzco gets turned into a llama and learns his lesson. Kenai gets turned into a bear and learns his lesson. Unfortunately, Disney didn’t create a comedic character similar to Kronk. That would’ve been awesome. I mean…. You see how Brother Bear is similar to The Lion King, Tarzan and The Emperor’s New Groove, right? I think the movie is original enough to stand on it’s own, but it does have lots of similarities, some of which might actually make it more of a draw. Just two more thought before closing. First, this film was released in 2003. Know what else was released in 2003? Finding Nemo. And they were both nominated for Best Animated Picture Oscar. That’s like….well, I can’t think of a single simile. When has there ever been such disparity between two items that were nominated for the same thing? I guess it would be like Michael Jordan playing for a church basketball league and being named MVP with Gary the accountant being named runner-up. Like, maybe Gary is pretty good, but no one’s better than MJ. Poor Brother Bear – it never had a chance against Finding Nemo. Kenai and Coda are on their way. Second, Brother Bear and its sequel Brother Bear 2 are the last acting performances from Rick Moranis. He’d retired from acting in 1997 but agreed to voice the moose Rutt and Tuke with Dave Thomas, recapturing their magic from the SCTV “Great White North” days. Thought you might find that interesting. Anyways……. 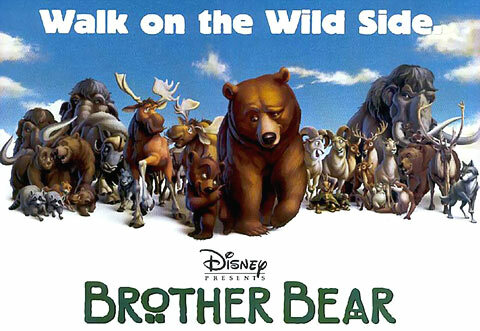 So yeah – Brother Bear is a movie. It’s a Disney movie. It’s very skippable, but if you’re tired of the same animated movies all the time, check it out – you might enjoy yourself. 6.1/10. Please comment below, and feel free to email me your thoughts at grant@grantstevensgroup.com. Grant Stevens is a swell writer and a keen social observer. He recently won the Best Writer Ever award from the Use Ironic Correctly Society, and he also recently completed work on thinking of ideas for future projects. Look for the fruit of that labor soon. Grant is also a semi-professional professional musician. You can check out his music at www.grantstevensgroup.com and www.soundcloud.com/grant-stevens-amazing. Thanks for these reviews, Grant! 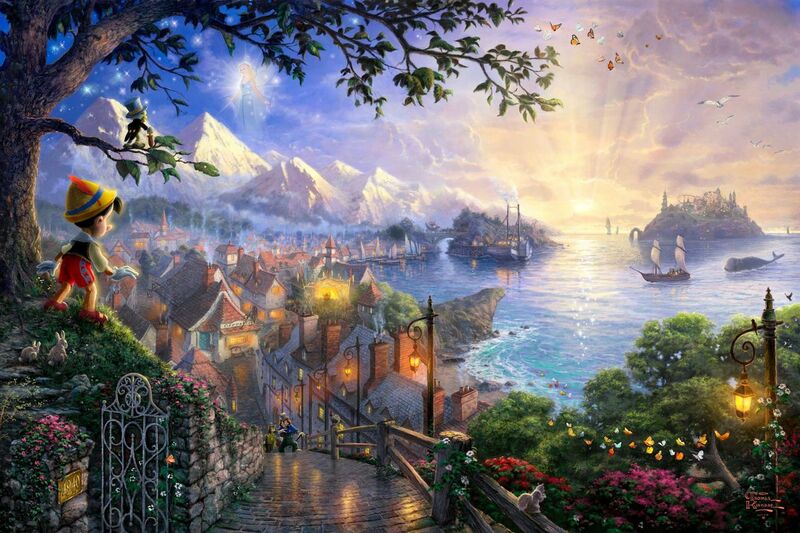 Pinocchio is one of my favorite Disney movies – it does have many valulable morals. Keep up the great job! Hello my loved one! I wish to say that this article is awesome, great written and include almost all significant infos.